Find a piece you like and get on our Waiting List to be notified the moment it arrives! And if you can't find what you want here, contact us and we'll FIND it for you - at the best possible price! 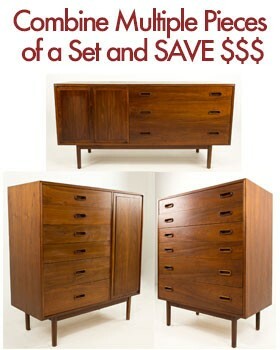 Mid-Century Modern Furniture Catalog - Here is the mid-century modern furniture that's coming soon. If you like something you see below, click on it to go to its page and you will be able to enter your e-mail address to be the very first person to be notified the moment it arrives. When we receive your favorite piece, you'll get a brief notification e-mail and a chance to buy it before anyone else.